The internet is amazing. Not only does it connect us to our loved ones around the world, but it frees up space in our brains. No longer do we need to remember the conversion of kilometers to miles or the difference between baking powder and baking soda. The other great thing about the internet is that it gives us anonymity when asking questions that might makes us look weird by asking a friend. And while we believe that there’s no such thing as a dumb safety question, we did get a kick out of researching the answers to some of the weirdest safety questions of 2018. Have a strange question of your own? Leave a note in the comments and we can address it in another edition. 1. Do seat belts expire? The short answer is no, seat belts don’t have an expiration date. This was confirmed when we spoke with representatives from Hyundai and General Motors. 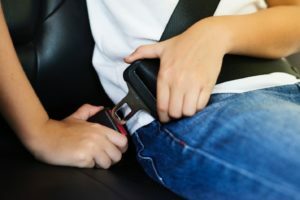 An article by The Columbus Dispatch does point out that seat belts are recognized as a single-use item by the National Highway Traffic Safety Administration in the United States. This means that in the event of a car accident, you need to have the seat belt replaced because the mechanism within the locking retractor that keep you safe may be damaged. Some safety experts suggest that seat belts should be replaced every 10 to 15 years, but others suggest that if your seat belt properly retracts and doesn’t have any rips or tears, then it should be in good working order. If, for any reason, you suspect that your seat belt isn’t working properly, have a certified service professional take a look since Transport Canada statistics indicate that seat belts – when properly worn – reduce the chance of death in a collision by 47 per cent and the chance of serious injury by 52 per cent. 2. Are regular glasses considered safety glasses? We have no doubt that you intrinsically know the answer to this question. No, regular glasses are not considered safety glasses. But this sparks the question of “how.” How does protective eyewear differ from regular eyewear? Eyeglasses are made from glass or a hard plastic designed to let you see. Sunglasses are tinted to protect your eyes from bright light and sometimes UV rays. But these glasses don’t meet any specific regulations for impact resistance or UV filtering and most leave gaps where debris could get into your eyes. Protective eyewear must meet the CSA Standard Z94.3 in Canada or the ANSI Standard Z87.1 in the United States. Have more questions about choosing protective eyewear? Check out our post on protective and prescription eyewear standards. 3. What are the best practices when using a nail gun? One of the best suggestions we found for anyone that’s new to operating nail guns is to buy/rent one with a full sequential trip. A sequential trip requires the user to depress the trip against the work and then pull the trigger. To drive a second nail, the user must lift the gun and release the trigger before repeating the previous steps. This added safety measure reduces accidental discharges or secondary discharges from nail guns that are bumped or triggers that are kept held down. Another best practice is that nail guns should be treated like a firearm; your finger should remain off the trigger until you’re ready to shoot and never point a nail gun at something that you don’t intend to sink a nail into. A report published by the Centers for Disease Control and Prevention in 2018 reported that 37,000 emergency room visits are caused by nail gun injuries every year. The most common nail gun-related injuries are from unintended nail discharge, missing the work piece or nail ricochet. 4. Is There a Way to Break in Steel Toe Boots? Steel toe boots are some of the most unforgiving footwear in the world. Wear your new boots around for an hour or two each day for a few weeks before trying to wear them for a full day. Bend the body of the boot back and forth to encourage flexibility in the sole of the boot. Use an insole to provide extra comfort and wear bigger socks to protect your toes. The wrong size of steel toe boots can cause as much damage to your foot as not wearing them on the job. Before you buy a pair of steel toe work boots, go to a safety shop and try some boots on. 5. When Does a Lack of Working Toilets Become a Workplace Violation? It’s questions like these that get us out of bed in the morning. In Canada, there are clear rules set out by the Government of Canada for Sanitation and Toilet Rooms. While this section does not provide a timeline for an employer’s responsibility to make bathroom repairs, the terminology “where it is reasonably practicable” suggests that employers must repair the toilets as soon as possible or provide outdoor privies until the work is complete. 6. 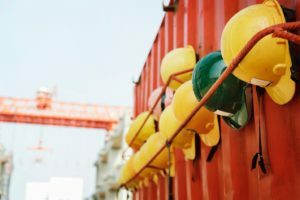 Does Office Staff Need to Wear PPE? It’s safe to assume that when talking about office staff wearing PPE, it’s referring to active work zones and not wearing steel toe boots for risk of dropping a stapler on your shoes. Although that does hurt something fierce! It’s an employer’s responsibility to ensure that staff is wearing the proper PPE. Many organizations will outline areas where PPE is required. This could be as simple as a high-visibility vest to head-to-toe safety gear depending on the hazards that are present. 7. What to Look Out for When Working Night Shifts? Working the night shift presents a unique set of dangers. Along with a higher chance of heart attack or stroke, you are also more susceptible to workplace accidents from fatigue. Some of the best suggestions we’ve found to eliminate additional risk from working at night by is to prepare yourself ahead of time. Eating your “main meal” before your shift to provide you with energy. Avoiding fatty, fried and spicy foods because your digestive process is slowed, which can lead to heartburn and indigestion. Moderating your caffeine intake and drinking plenty of water. Wearing the proper PPE and following the training you’ve received for nighttime shifts. 8. Who Should Clean Up Blood in a Workplace Accident? In the event of a workplace accident, the priority is to ensure that the proper steps are taken to provide first aid to the injured party and contact emergency services if needed. When it comes to cleaning up blood after a workplace accident, there isn’t a clear set of rules. One option is for employers to provide training to their employees regarding blood cleanup so that it can be safely taken care of in house. If proper training has not been provided, the cleanup should be left to professionals. Blood is a biohazardous waste. This can lead to serious illness if it’s handled by an untrained person who isn’t wearing the proper PPE including waterproof gloves, googles and facemask. Remember that you have the right to refuse unsafe work if you feel that you haven’t been provided with the proper training or PPE in this situation. 9. How to Wear a Hard Hat? But there are many types of hard hats. Regardless of the style you choose, the right fit will ensure it provides the best protection. If you own a ratchet adjustable hard hat, turn the ratchet knob counter clockwise until the band opens to the largest size. Then place the hard hat on your head. Now turn the knob clockwise until the suspension is snug against your head – making sure not to over tighten. There should be about a one-inch clearance between your head and the hard hat. That’s how you wear a hard hat. Don’t wear your hard hat backwards unless the manufacturer states that you can. Use the manufacturer’s recommended harness for your hard hat. Don’t wear toques or hats underneath your hard hat. Don’t use your hard hat as an extra pocket. Replace your hard hat if it has been dropped from more than five feet or has been forcibly struck. 10. Should I Report a Minor Workplace Injury? Yes! You should be reporting a workplace injury regardless of the perceived severity. If one person is injured at work, there is a chance that more people can also be injured this way. By reporting these injuries to your supervisor, they can take the reasonable steps to prevent it from happening in the future. 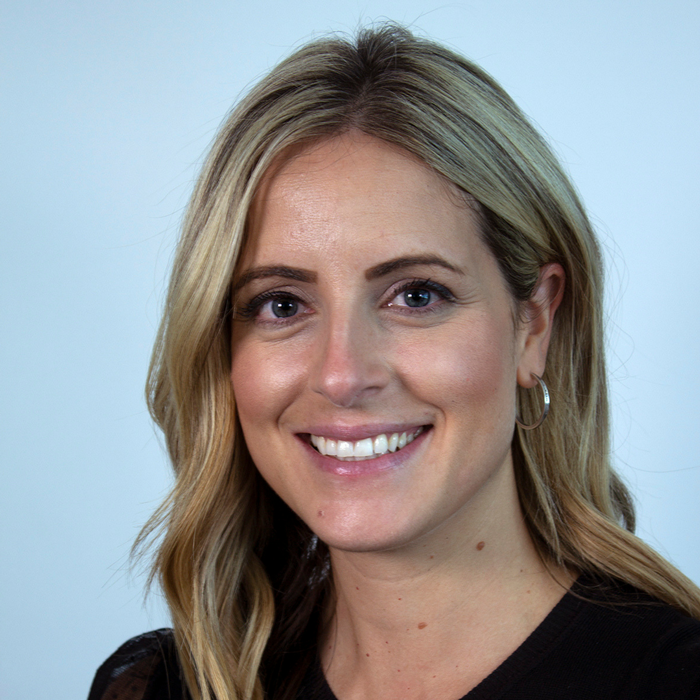 In Ontario, the Workplace Safety and Insurance Board has created the “Always Report” campaign that outlines the actions an employee and an employer must take when reporting injuries in the workplace. If an employee doesn’t report an injury in the workplace and the injury becomes more serious, he or she may not be eligible for worker’s compensation. By reporting even minor workplace injuries, you’re helping to improve your workplace and keep yourself and others safe. The above is just a sampling of the questions that we came across while researching this post. If you have a work or safety question that you think is unusual or weird, leave a note in the comments and we’ll address it in an upcoming feature.